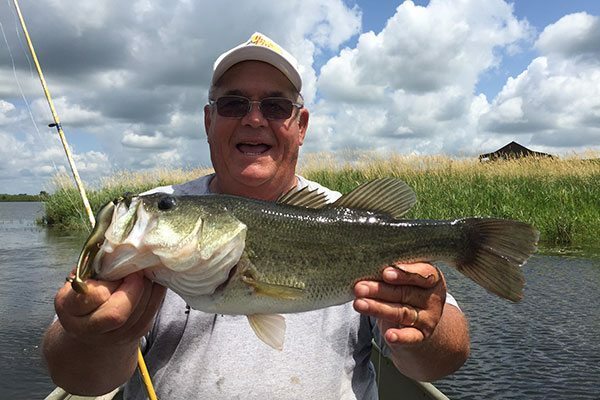 Fishing at Big Blue Ranch is excellent, with lots of master angler large mouth bass. 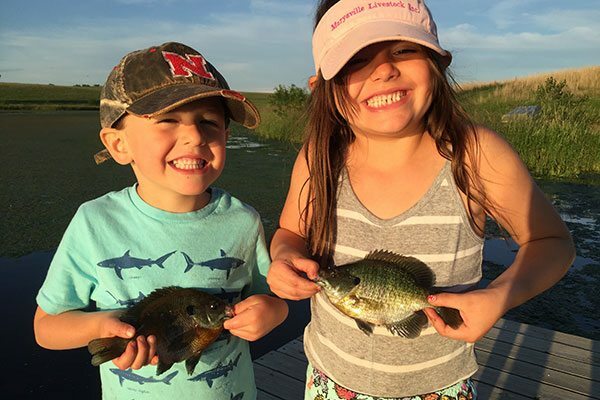 The big bass are plentiful, the bluegill playful, and the crappie abundant. 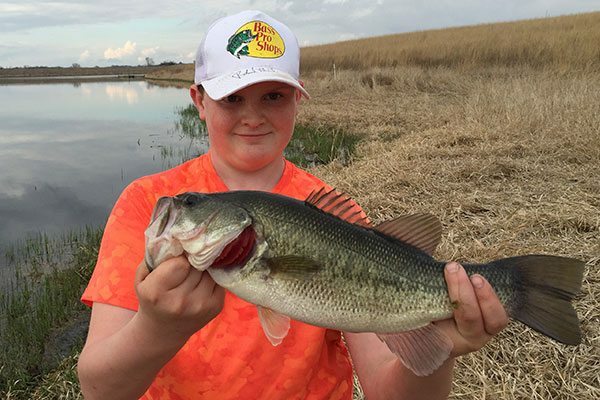 This is some of the finest bass fishing you’re likely to find in Nebraska. 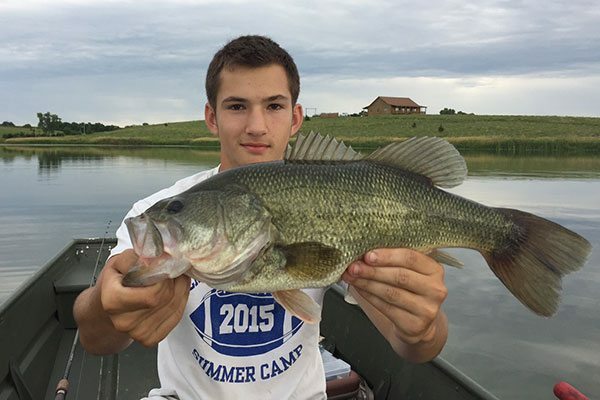 We only offer catch and release fishing, so the big ones are always there for waiting for you. Our 20 acre lake was built in the early 1960’s by the Natural Resource District in a boomerang shape using the natural topography. Its construction was primarily for flood control. 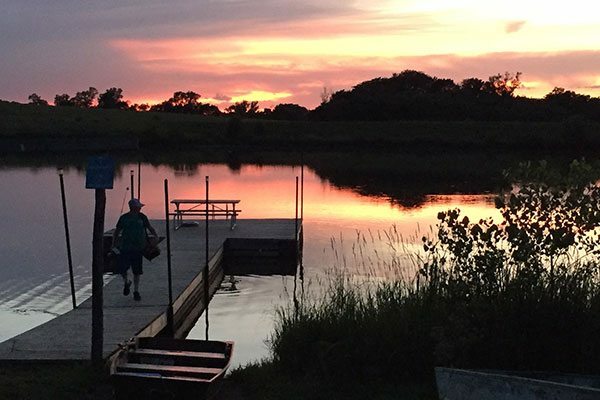 This secluded lake was designed to keep Plum Creek from flooding. 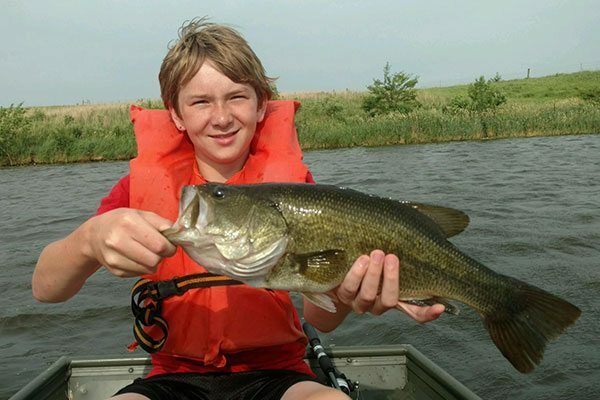 Since its construction, the lake has been privately stocked with large-mouth bass, bluegill and crappie. In the 1970’s northern pike were introduced. 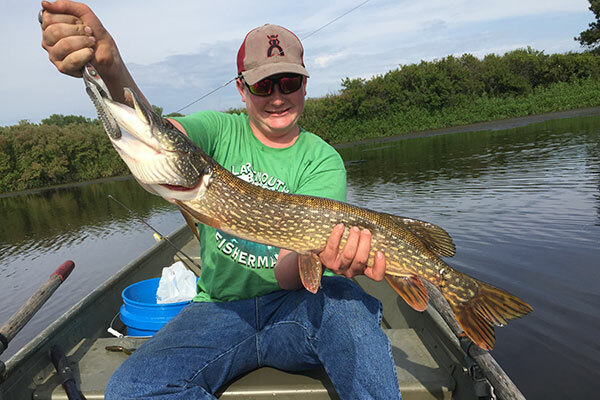 You may not think of Nebraska as a place to battle a Northern Pike but you can do it at Big Blue Ranch. This spring fed lake has 200 yards of dam with riprap. A short walk down the hill from the lodge brings you to the dock. Shallow ends provide weed beds for cover and spawning for the many different species of fish found here. Our fishing lake is surrounded by a grass buffer and grazing pasture, and the cedar log lodge overlooks it. Livestock are fenced out and a walking trail follows the shoreline. 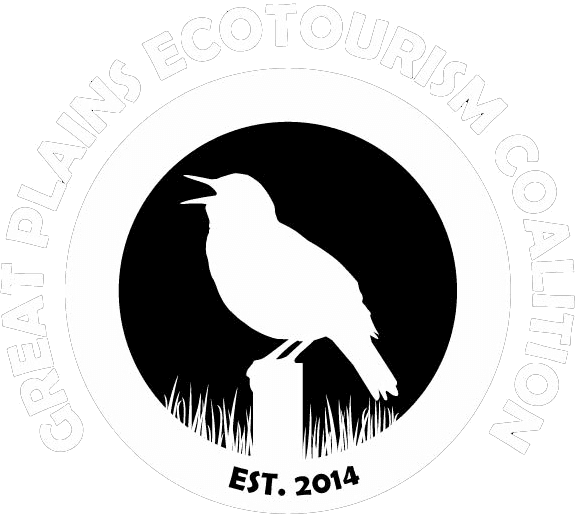 Whitetail deer, coyotes, turkeys, ducks, geese and other wildlife also inhabit the property. 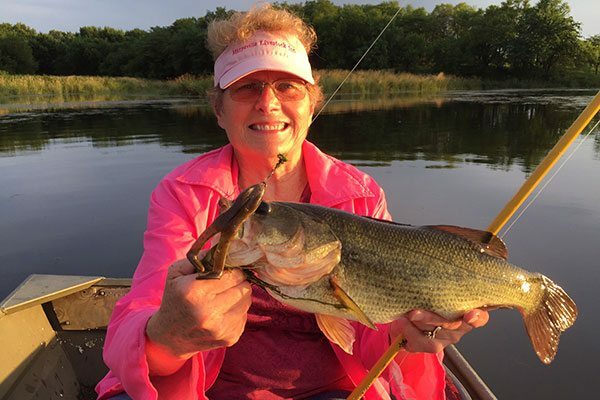 Guests should bring their own fishing poles, tackle, lures, worms and, and appropriate fishing clothing for the seasonal changes. 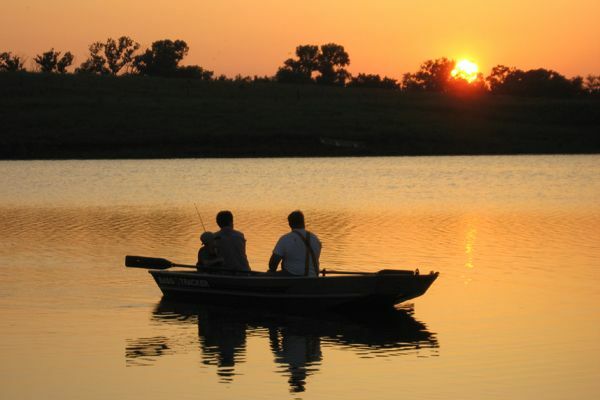 You can catch large fish in any season, so plan your trip whenever you feel like fishing. 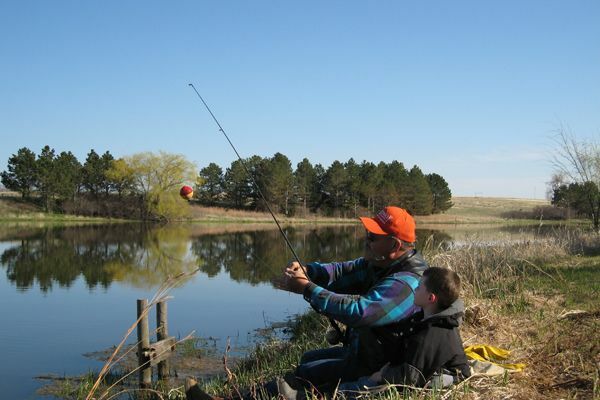 You can buy a Nebraska fishing permit online using a credit card at the Nebraska Game and Parks Commission web site. 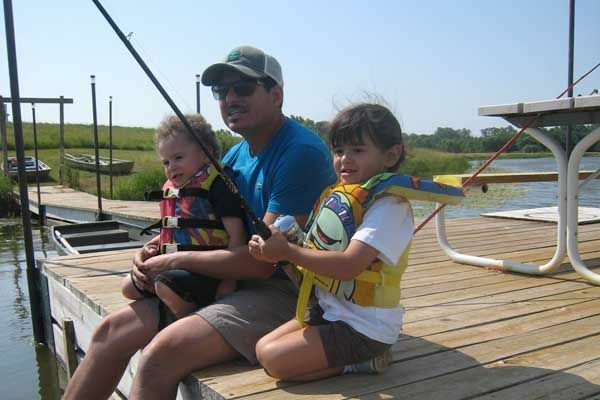 We do not allow any gas motor boats or jet skis on the lake in order to maintain a clean natural lake environment.  Big Blue Ranch and Lodge caters to those searching for the perfect balance of outdoor adventure and comfort. At the end of the day, guests can kick back in the cedar log lodge to swap fishing stories in a relaxing atmosphere with stone fireplaces, leather sofas, comfortable accommodations, and a black walnut bar.